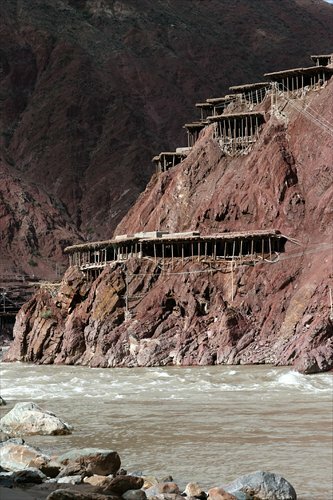 At the side of mountains along the Lancang River hang the ancient salt fields, elevated on wooden scaffolds. 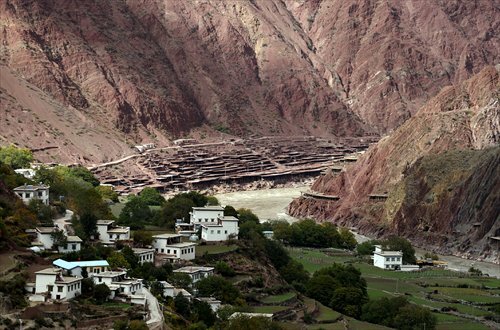 The river, which flows through Southwest China's Tibet Autonomous Region and Yunnan Province, is more familiarly known as the Mekong in its lower reaches in Southeast Asia. 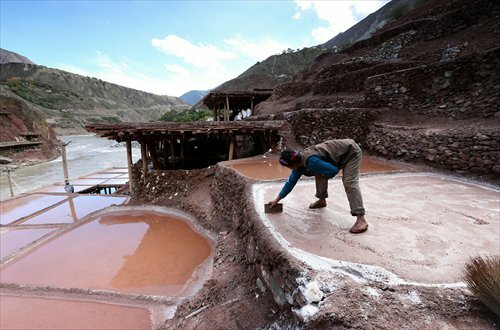 People of the Nakhi ethnic group, who live in riverside villages about three hours drive from the Mangkang county center, have been producing salt for at least 1,300 years. 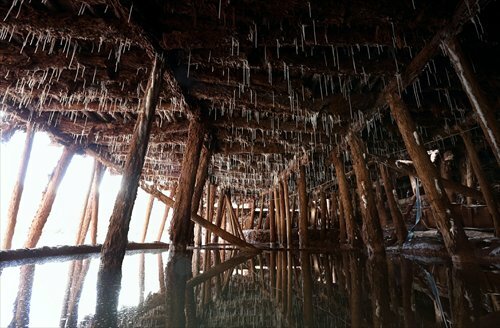 They carry brine water from wells by the riverside, which is rich in minerals, and unload it to the ponds for the sun to evaporate the water and rime the minerals. Under Nakhi tradition, women produce salt and men sell it. Men transport the yield on a mule to sell in towns beyond the mountains in Tibet and provinces of Sichuan and Yunnan, or trade it for food and tea. 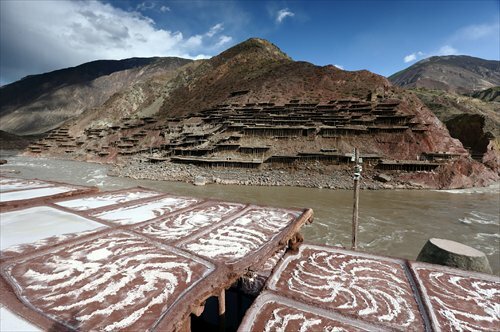 In this dry and hot area, people have been producing salt ever since the Tang Dynasty (618-907), when salt was a vital government monopoly, often smuggled. Today there are still 3,454 salt fields, and 2,013 people remain in this profession. The Tibetan government has started working on applying for UN protection of these salt lakes, and the Mangkang ancient salt lakes have been included in the list of China's World Heritage candidates.